Created in 1997, the annual UNESCO/Guillermo Cano World Press Freedom Prize honours a person, organization or institution that has made an outstanding contribution to the defence and, or promotion of press freedom anywhere in the world, and especially when this has been achieved in the face of danger. The Prize was established on the initiative of UNESCO's Executive Board and is formally conferred by the Director-General of the Organization, on the occasion of World Press Freedom Day, on 3 May. It is named in honour of Guillermo Cano Isaza, a Colombian journalist who was assassinated in front of the offices of his newspaper El Espectador in Bogotá, Colombia on 17 December 1986. 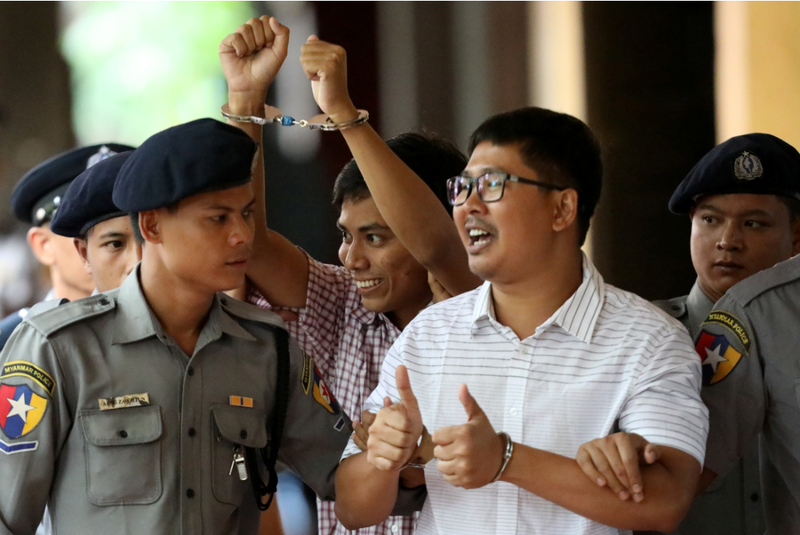 Reuters reporters Wa Lone and Kyaw Soe Oo to receive 2019 UNESCO/Guillermo Cano Press Freedom Prize.